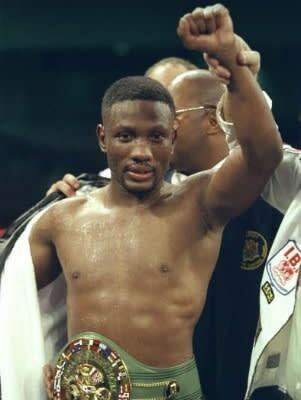 During his boxing career, Pernell Whitaker won often and held many titles. But outside of the ring Whitaker faced an opponent he just could not dodge: the law. After serving a mere four days for cocaine possession in 2001, the court ruled that Whitaker had violated his probation and would be forced to serve a huge 27-month bid, starting in 2003. Who would've thought that the long arm of the law was capable of such damaging blows?